The Ink Trap: Sequin Challenge at Art Impressions! 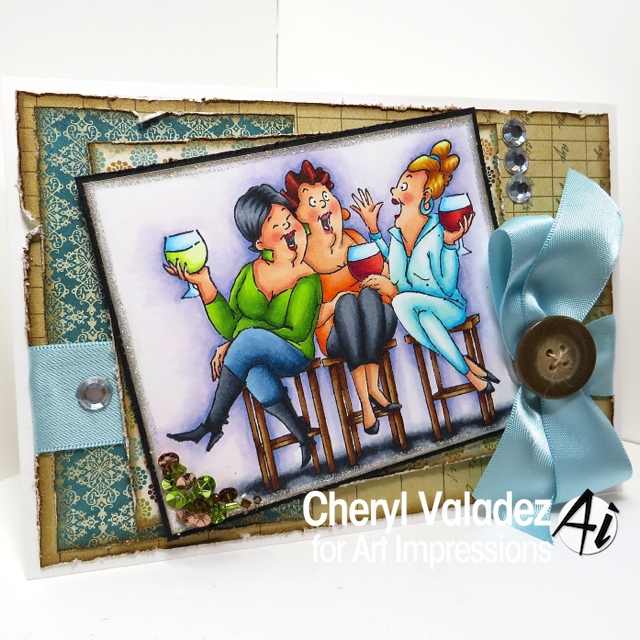 For my card, I reached for the Wine Tasters Set. 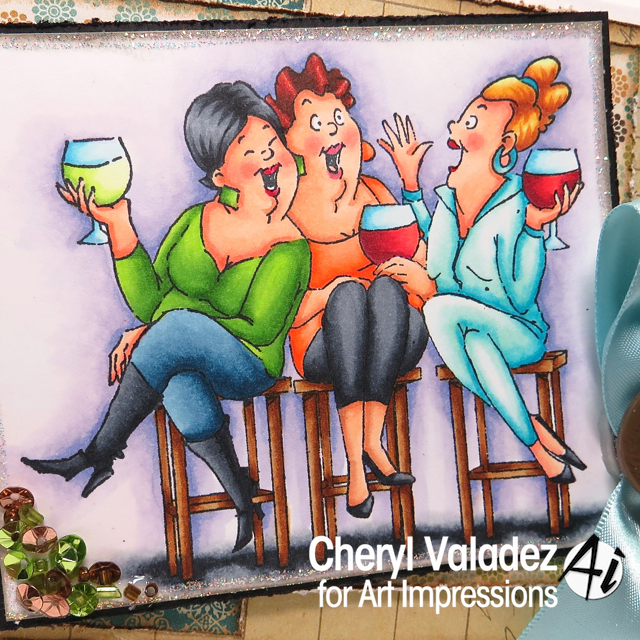 These ladies are having such a great time, that I would love to join them, LOL! They are irresistible. Find these lovely wine connoisseurs in the Ai Shop along with LOTS of other wonderful designs! Be sure to visit the blog and check out all the wonderful eye-candy created by the DT and why not join the fun?! Fun card. One of my favorite stamp sets.